It’s time to start something amazing. If you’re looking to be part of a better energy future, this apprenticeship will give you the skills, confidence and qualifications to join our industry’s next generation. At the end of your apprenticeship the doors will open to the larger organisation. If you want to progress up the career ladder, you can take on people management responsibilities and develop into a maintenance team leader. Or you can choose the technical route and take your first steps towards becoming an engineer. 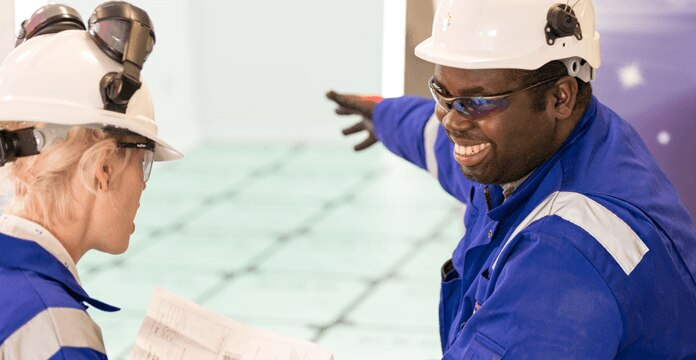 With hard work, there really are no limits to how far you can go – not just within EDF Energy, but within the worldwide EDF Group. The Engineering Maintenance Apprenticeship Scheme is a four-year programme that focuses on skills required to maintain our power stations. 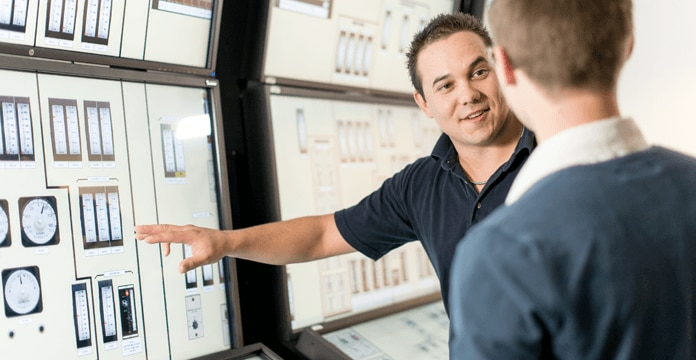 As well as the technical side, we’ll help you develop the attitudes and behaviours essential to the safe operation of our power stations. Upon completion, you’ll be awarded a Maintenance and Operations Engineering Technician Apprenticeship Certificate, you’ll also have attained a BTEC Level 3, with the potential for further education such as a HNC. The programme runs for four years, the first two of which are based at the National College for Nuclear, delivered through Bridgwater and Taunton College, Somerset. During this time you’ll undergo training in academic and workshop environments to ensure you gain an excellent introduction to engineering and develop a strong skills foundation. Part of this programme also covers the development of life skills, like confidence and communication. Based at the National College for Nuclear Southern Hub, Somerset, you’ll have access to state-of-the-art nuclear training facilities including a virtual reality environment, a reactor simulator, computer-equipped training rooms, recreation and collaboration spaces, sports facilities and student accommodation. It’s here that you’ll get your introduction to engineering and develop those key skills. Towards the end of Year 1 you will be streamed into a specific discipline - Mechanical, Electrical or Control & Instrumentation. You’ll return to your base location and join the Maintenance team at the power station you applied to around the UK. Here, you’ll work alongside and learn from fully qualified professionals, developing your knowledge and skills at the same time as completing your academic and vocational qualifications. You'll also have the support from a full time Station Apprentice Coordinator to offer guidance whilst you learn about working on a power station. Upon completion of your apprenticeship, you’ll be awarded a Maintenance and Operations Engineering Technician Apprenticeship Certificate. By this point, you’ll also have gained a BTEC Level 3 as well as an excellent selection of practical skills. It’s everything you need to start your career and, if you excel, there may also be the option to progress onto further education such as a HNC. At the successful end of the four years you’ll be given a full-time role within the organisation. Before you head down to the National College for Nuclear you’ll have a week of team building, which will allow you to get to know the other apprentices and meet the people you’ll be living and working with. The National College for Nuclear is designed for the needs of today’s students. As well as state of the art training technology, there’s a fully equipped restaurant area and communal spaces, including sports facilities. All meals and accommodation are provided during this time, along with a number of paid journeys home. In years three and four, you’ll be based at one of our power stations, such as Sizewell, Torness, Heysham or Dungeness. Discover what it’s like to be an apprentice at our Dungeness power station. Kat Martin shares her experiences of on the job training, working with her fellow apprentices and how she has progressed in her career to date. The reason for choosing this apprenticeship was because I enjoy being hands on and have an interest in the nuclear industry. I also chose it knowing EDF energy was a good company to work for, where they have a well-structured support system in place. My time staying away from home is one of the highlights, as it’s given me some freedom and taught me a lot of life skills, from learning how to do my own washing to travelling to new countries on my own. It also gives you the chance to make new friends and has given me the chance to experience things I wouldn’t normally. I have found the chance to get back onto site and experience the power station really valuable. This has given me the chance to put what I have learnt into context and given me to chance to have an insight into station life.